Opening an air conditioning and refrigeration compressor business is an excellent entrepreneurial opportunity as long as you separate yourself from the competition. This article contains nuts-and-bolts information on the startup process. We offer several useful ideas on how to start an air conditioning and refrigeration compressor business. Compressors are the heart and soul of the air conditioning and refrigeration industry. Not unlike automotive engines, compressors are pumps that are driven by electric motors, featuring valves, pistons or vanes. For commercial and residential energy consumers, a bad compressor can bring refrigeration and air conditioning to a standstill, so in many areas, compressor suppliers and repair specialists are in high demand. The air conditioning and refrigeration compression industry is complex; there are an abundance of businesses that provide products and services at every stop of the supply chain. To break into the industry, entrepreneurs need to thoroughly understand industry dynamics and have an awareness of the major players in the local compressor marketplace. By identifying and exploiting gaps in the local and regional supply chain, you will dramatically increase the odds that your startup will be able to penetrate the marketplace and establish a foundation for long-term success. Refrigeration and air conditioning compression offers multiple opportunities for ambitious entrepreneurs to earn a profit. While some startups specialize in a single profit center, others diversify their initial business model to capture a broader share of the market. Distribution. It's fairly common for compressor startups to become authorized distributors for Danfoss, Copeland and other manufacturers. As a distributor, you'll sell compressor units, parts and accessories, and may be called on to provide product training for refrigeration and AC contractors in your market. Remanufacturing. The replacement costs for compressor units has created a market for compressor remanufacturing. Remanufacturers essentially rebuild non-functioning compressors according to a stringent set of quality control and inspection guidelines. As a compressor startup, a high quality remanufacturing operation can be an effective way to tap into the local or regional marketplace. Service & Repair. An air conditioning and refrigeration repair division is a relatively easy add-on to either a distributorship or remanufacturing operation. However, you'll need to carefully consider whether providing direct repair services will jeopardize your relationships with regional contractors, many of whom may be hesitant to purchase parts and compressor units from a company that directly competes with them for repair and service customers. Goals & Objectives – The end results of your company's business activities. Before you open an air conditioning and refrigeration compressor business within your community, it's a good idea to find out how strong the competition is. Use the link below to generate a list of competitors nearby. Complete the form by entering your city, state and zip code to get a list of air conditioning and refrigeration compressor businesses that are close by. After you've evaluated your local competitors, be sure to have a conversation with someone who is in the business. Local competitors are not going to give you the time of day, mind you. What's in it for them? However, an entrepreneur who owns an air conditioning and refrigeration compressor business in a location that is not competitive to you may be willing to share their entrepreneurial wisdom with you, provided that you won't be directly competing with them. In that case, the business owner may be more than happy to discuss the industry with you. It can take a while to find an entrepreneur who is willing to talk, but it's well worth the effort. Where would you find an air conditioning and refrigeration compressor business manager in another community? It's almost always preferable to buy an air conditioning and refrigeration compressor business than to pursue an air conditioning and refrigeration compressor business startup. Due diligence and other business buying requirements are essential. But there are several reasons why buying an air conditioning and refrigeration compressor business may still be your best bet. Operational Efficiency. A good air conditioning and refrigeration compressor business should already function like a well-oiled machine. The odds of achieving your primary goal of making a success of your new business are much better if you opt for franchising instead of doing it all on your own. 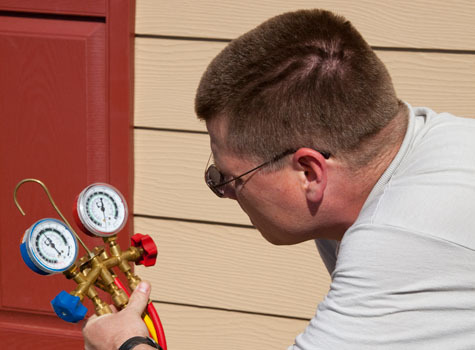 Prior to starting an air conditioning and refrigeration compressor business, you ought to assess whether purchasing a franchise might alleviate your startup process. Did this article answer your questions about how to open an air conditioning and refrigeration compressor business? Post your comments on this topic using our comment submission form below. Already Own an Air Conditioning & Refrigeration Compressor Business? Are You Selling to Air Conditioning & Refrigeration Compressor Businesses?